This is one of my favorite ‘Quick-Fix Meal’ Recipes. 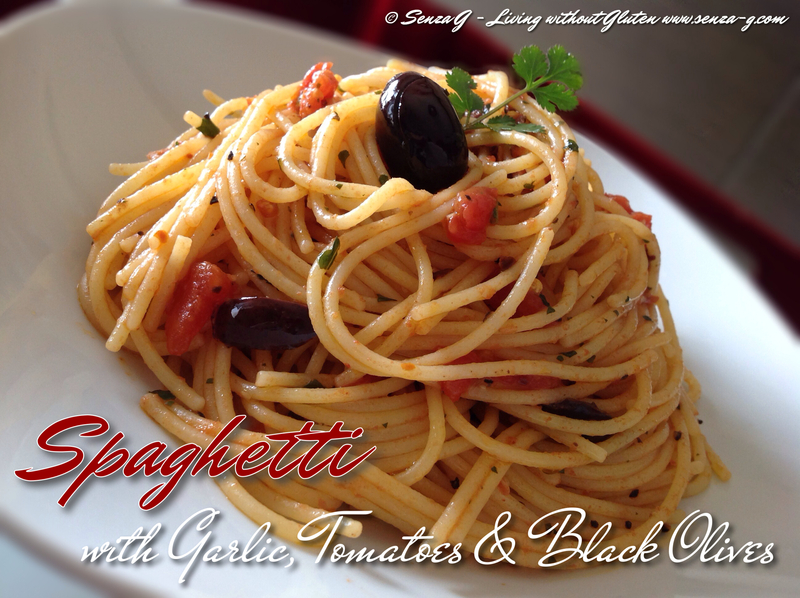 It is based on the traditional Aglio e Olio, but with a little more ingredients added. The anchovy paste gives it that nice kick. You can use a couple of finely chopped fresh anchovies instead. Heat oil in a pan over medium heat and sauté the garlic. Do not let it brown as it will make the sauce bitter. Add the chilli, followed by the anchovy paste and the crushed tomatoes and combine. Cook for a couple minutes and then add the olives and chopped parsley. In the meantime, boil the spaghetti and when ready, drain and toss with the sauce.